After all the invasion of privacy, social media trolling and racial arguments about their relationship, Prince Harry and Meghan Markle are finally engaged! Their relationship began last year; a few months after Meghan met Harry in Toronto while filming ‘Suits’. Their low-key dates and home visits confirmed their relationship. She’s not just a talented actor; she’s also a beauty, food, travel and a fashion fanatic. Back in 2014, she started her own blog called ‘The Tig’. The blog featured aesthetically taken pictures of scrumptious breakfasts, enviable travel destinations and our favourite – motivation quotes! Unfortunately, she bid a goodbye to the blog in April this year. Did you know that Meghan Markle’s actual name is Rachel Meghan Markle? She prefers to go by the name Meghan Markle just as her stage name. Coincidently (or not) Rachel also happens to be the name of her character on ‘Suits’! 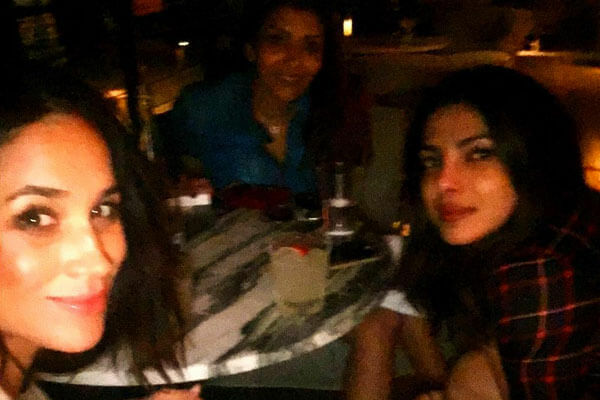 Meghan Markle shared this picture just casually chilling with Priyanka Chopra in Malibu. She captioned it as “#TBT to girl time with @priyankachopra & Mubina in #Malibu last week #californialove #homesweethome”. More! We want to see more of them hanging out. 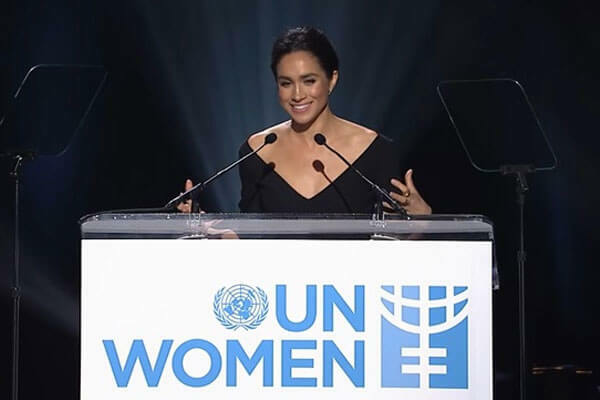 Apart from being an ambassador for United Nations Women, Meghan Markle has also been a women’s rights activist since childhood. In fact, reports claim that was one of the reasons Prince Harry was attracted to her in their initial days of their friendship. The royal family comes with a set of rules in the form of a ‘Royal Marriages Act’ that claims that 6 people closest in line to the throne need consent from Queen Elizabeth in order to marry. This included Prince Charles. Prince Charles married Camilla Parker Bowles, who was also a divorcée with the Queen’s consent. Prince Harry too had to seek the Queen’s consent and reports say that she “readily consented” for the marriage. Both Meghan Markle and Prince Harry share the same great x 14 grandfather named Ralph Bowes who was born in 1480. So, it doesn’t really count! It’s a bad, bad news for ‘Suits’ fans. It was announced that Meghan Markle will be leaving the show after successfully completing 7 seasons! She obviously has a lot on her plate right now, you know, like getting married into a royal family. We bet it’s scary and also pressurizing to an extent. She’s quite a philanthropist and her humanitarian efforts have won many hearts across the globe… including the Queen’s! We honestly cannot wait for their wedding which will happen next year.